In the city center, close to Le Touquet and other beaches. 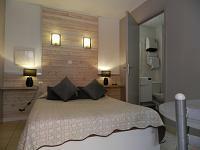 15 minutes from the railway station, close to the port and restaurants. 15 minutes from the equestrian center. Between the hotel, the hotel residence and the holiday cottage, you will find in my small establishment the comfort and the heat that you need for your moments of rest. Massage and relaxation service on request.